Who doesn’t like a good the-underdog-wins story where everything works out for the best in the end? However, the old adage ‘it’s easier said than done’ applies everywhere, especially if you’ve experienced this kind of a situation firsthand. Typically, humans tend to downplay their struggles, failures and inhibitions, and hide their fears to the greatest extent possible. We prefer to project ourselves as successful, inspirational and happy-go-lucky individuals, who have everything going for them. In a scenario where everyone pretends that all is hunky-dory, the true story of your trials and tribulations is sure come as breath of fresh air, especially to those looking for inspiration. A story with a universal appeal is bound to be valuable. Through your story you get the opportunity to tell your audience that the road to success is rocky and uncertain, rather than straight and levelled. It’s no secret that the customer is the king. After all, he is the one with purchasing power. Customers are constantly on the lookout for credible content that helps them make buying decisions. Did you know that 70% of consumers look to blog posts to make such decisions rather than ads? They read the content provided on your company’s website, refer product reviews on third-party sites, and any other source they can find online before buying from you. This is done to know more about the product, its value proposition and reliability. 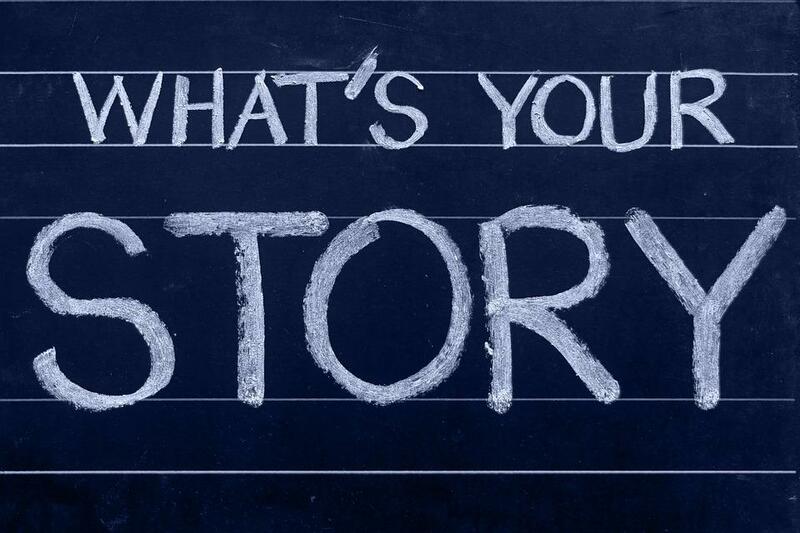 Your story can become incredibly powerful when you explain your journey to your customers as it will connect you to them on an emotional level. Your customers may not care much about your marketing goals, but they will appreciate a great story from you. Any business that can give them this stands to benefit greatly. Social media can be tremendously helpful in achieving this. Customers are already present on social media and are comfortable engaging with companies, who are equally active in putting up their content on such networks. As the majority of companies publish their content, only those who are able to craft compelling stories, instead of just dishing out a mountain of facts and figures, have a better chance at succeeding. With the help of stories, you will be able to transform the ostensibly vague core values of your organization (for example, hard work and ethics) into tangible and measurable attributes. Almost all organizations have a bigger organizational narrative with small stories to sustain, restate, and personalize it. These smaller stories are consistently shared to create, strengthen and explore your brand. It is your organization’s values, mission and activities that form the central theme of its narrative. Good stories that reinforce that your brand is, in fact, the solution to your customers’ problem can help you influence them positively, thereby establishing your authority in the market. Craft your content in a manner that positions your brand as the preferred one. Highlight the strengths of your offerings in a way that lets your brand stand out from among the competition. And win! You want your audience to feel an emotional connect with your brand, which is why it is important to tell them stories about the people who make your organization the success that it is. This includes your employees, clients, investors, partners, and so on. People like to engage with humans and not with undefined entities. When you share your story, you enable your audience to hear, understand and remember your organization better. Further, because stories are more comprehendible than random information and numbers, it becomes easier to share them. Bear in mind, however, that one story can give rise to new stories i.e. your customers will probably draw out another story from the one you tell them. This is where the importance of having multiple channels of communication (for proper flow) comes into the picture. Once you have them in place, you can ponder over other questions related to the emerging themes and the kind of stories enabling real engagement. As a brand, you’re bound to have tremendous knowledge and learning, which can be presented in a practical and sustainable structure. Doing so can also help you connect information, which can otherwise seem incoherent. Stories can elucidate numerical data, yield insights, and draw out lessons more easily. Sharing true stories will enable you to build credibility which, in turn, will deepen the trust your internal and external stakeholders have in you. 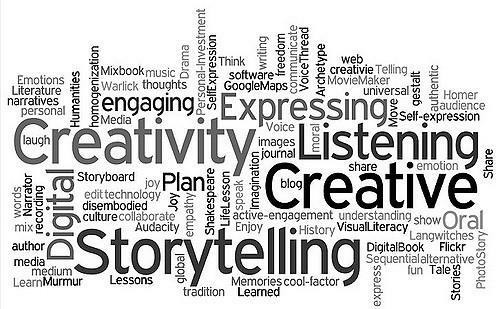 Stories make for fantastic mediums to foster communication through which people get heard. It also helps smart entrepreneurs decipher the meaning of projects and offerings. Leaders/mentors in organizations that share their story are often adept at relating their projects and challenges to the narrative of the organization. In fact, stories are more important to leadership than we know. Of course, there needs to be one strong narrative that weaves the various abstract and patchy bits together. This will help you communicate your company’s visions, ease out the complexities, and inspire change. Leaders keep changing and one leader’s hindsight can be another’s foresight. By sharing the story of your struggles, you can greatly help up-and-coming entrepreneurs realize that their struggles are a normal part of the grind that everyone goes through, and there is a way out of it. More often than not, this is all the inspiration they need to weather the storms. If your stories can provide them with actionable ideas and solutions through which they can solve their problems, they would be even more helpful. As already mentioned, not everyone is comfortable with talking about their hardships, struggles, weaknesses, and failures. Some, however, find it to be cathartic and extremely gratifying. Getting over the fear of publicly acknowledging to such experiences requires courage. It can earn your tremendous admiration and respect. You never know, being earnest and forthcoming with your audiences about your strengths and weaknesses may just work in your favor! Sold on the idea of telling your story but wondering how to begin and take it forward? We’ll tell you all about it. In order to tell your story convincingly, you need to know why you are in business and explain this to your audience eloquently. The two questions to answer here are: what is the purpose of your business and what differentiates it from your competitors? Answering these questions will help you figure out what makes your business powerful and interesting to others. You will be able to set a path for future successes only if you have a clear idea of where you’re coming from. You may not realize this, but customers want to know who they’re buying from. This includes their history, i.e. questions related to the origins of the company. Smart entrepreneurs understand the importance of establishing a strong and realistic company mission. Businesses also need to have a clear corporate positioning that is in keeping with who they are. It should emerge from a clear comprehension of why they are in business and who they want to cater to. The mission and vision of a company are a big part of the brand story as they help formulate a practical business strategy. These factors essentially help set the foundation for success. It is impossible to have a relatable story without having exemplary main characters, who shape it going forward. Make sure to create inspirational main characters as they will form the heart of your story and encourage your audience to take the desired action. You can do so by identifying real people or make up fictional characters that make your business flourish and use them as your main cast. What Are You Out to Achieve? The answer to this question will reveal the real reason for the existence of your business. It will also help your audience figure out what issues you’re looking to resolve through your offerings. Show them the bigger picture and let them know that there is a higher cause to achieve. Are you in the business to inspire people? Do you want to revolutionalize the way your customers live through your products and services? Do you want to make the world a healthier place to live in? Such questions will help you get the perspective you need to grow your story. Success stories are incomplete if there is no mention of the failures encountered in the journey. Failures are stepping stones to success. Showing people how you failed before hitting the big time and embracing those trials will humanize you and your business and help your customers strike an emotional chord with your business, thereby making your story more impactful. Leave them with a feel-good factor at the end of it all, where your product or service solves the customers’ problems. The idea is to position your offering as the medicine that cures all their ailments and gives them exactly what they’ve been looking for. Almost all company websites have blogs and yours should too. They make for effective business storytelling vessels. You can get the maximum advantage by telling the story of either your own industry or other associated industries. Do not forget to create a professional bio for yourself when you start to blog. In fact, your bio should do more than just announce your accomplishments. It should tell your audience who you are as a person. The rule of thumb to remember here is that instead of talking on and on about what you do, make your blog posts action-oriented so that you can show your audience what you’re all about. Case studies are the classic marketing vehicles for storytelling in business. After all, they do convey a brand’s story. You can make them more creative by adding humorous elements, building tension, and adding various dimensions and points of view to them, rather than keeping them dull. Your customers will probably be looking for instructional material to understand exactly how they can make the most of your offerings. You can provide them with an instructional video that does more than just that. Craft an interesting story by making them the hero and the problem at hand the villain, and then position your product as the solution that can help solve the problem. Focus on providing them with material that answers the customers’ “hows” to make effective videos that arouse curiosity about your offerings. In order to tell your story to the world, you need to know it well enough. Only then will you be able to do a brilliant job of explaining it to others. Ensure that you have your brand’s core value proposition in place, and that everyone associated with you has the same story to tell to the audience. Consistency is key to be able to share your story in an honest and engaging manner. We all know just how important creating unique, fresh and relevant content is for your online business. However for small business owners content marketing can be a real challenge due to time pressures and lack of resources. Content curation can be a great way to support your overall content marketing strategy and help maintain a successful online presence. In a nutshell content curation is the collating, organising and sharing of other people’s content. It is usually third-party content relevant to your audience’s interests. First things first, content curation is not the same as content marketing and in no way replaces it. Content curation should be looked at as a way to enhance your existing content as part of your overall content marketing strategy. And don’t worry, by sharing other people’s content your audience won’t think you can’t create interesting content of your own. On the contrary, it shows you are relevant, understand the industry you are in and are confident enough in your own small business to share ideas and information from a third party. How can Small Businesses Benefit from Content Curation? Saves time. Content curation helps support and maintain an active online presence. Especially if you don’t have time to continuously create your own original content. Helps establishes you as an expert. Overtime content curation can help build trust and establish you and your business as an authoritative, go-to expert on a specific topic. Offers value to your audience. If you are offering information that is interesting and of value to your audience, then they are more likely to opt-in to your newsletters and follow you on social media. Builds your brand. What you share is a direct reflection of your brand and can help build your credibility as a business. The key to successful content curation is to put some organisation and strategy behind it rather than the ad-hoc retweet or share here and there. You may already do some basic content curation already, like I say I’m sure you’ve retweeted or shared posts on social media. However to really get the benefits you need to take it to the next level by including a personal touch. Add value to what you are imparting. For example include your own comments, insight and thoughts on the information you choose to share with your audience. Content curation is a great way to keep active on social media and provide your customers with links to information they may find interesting. Retweeting someone’s Tweet on Twitter, RePinning on Pinterest or sharing someone’s post on Facebook, Google+ or LinkedIn are examples of social media content curation. This is a great starting point and a good way to maintain an active online presence – especially when you’re pushed for time or lack resources. However as we mentioned earlier content curation becomes even more effective when you bring in your own personal slant on what it is your sharing. For example if you are sharing someone else blog post on social media, add in a few words about what you are choosing to share and why you think you audience will be interested in it. Content curation can work really well in your company’s newsletter. For example in addition to your own content, you could do a weekly round-blog posts you think your audience will like or a weekly round-up of industry news and views. By picking out the most interesting and entertaining articles and presenting them in a digestible format, you are saving your own audience from having to spend time searching around the web. And, if your audience know they can get great information direct from your newsletter then they are more likely to read it and stay subscribed. Here is a great example of content curation from WriteMySite’s marketing newsletter. In a similar vein to your newsletters why not try posting a blog post that is a weekly or monthly round-up of useful articles, interesting trends or news relevant to your industry? Organise the content into a theme, add in a great headline, your own supporting commentary, a call-to-action for your own business and you have a great post. Look at curated blog posts as offering a valuable service. By collating the information yourself you are in short saving your audience time by negating the need for them to research out the information themselves. Always keep your customer in mind so all your hard work collecting and collating is focused on the right information – information that is of value to your target market. If you are collating lots of different information from various sources then it will make your life easier if you can organise all the information in one place. There are a number of marketing tools that can help you collate,organise and publish content such as – Feedly, ScoopIt and Storify. If your just starting out then Pocket is a great ‘save for later’ tool. Connecting the Pocket button will enable you to save to your Pocket account straight from your computer. You can quickly collect links to interesting information with and group and tag articles for easy reference. remember you are sharing information not plagiarising – always give credit to the original source. We’d love to hear your own thoughts and experiences of content curation, so please do leave a comment.